This isn’t a proper update, because I said there’d be none of those this week. Instead I wanted to issue an open invitation to participate in this week’s Thursday Threads Challenge over at http://siobhanmuir.blogspot.com/ as I will be judging and have heard whispers that I am in fact a good judge. So swing by for some quality Flash Fiction, and/or bring your A-game and submit your own entry to make my job as judge more difficult–you just may be happy you did. 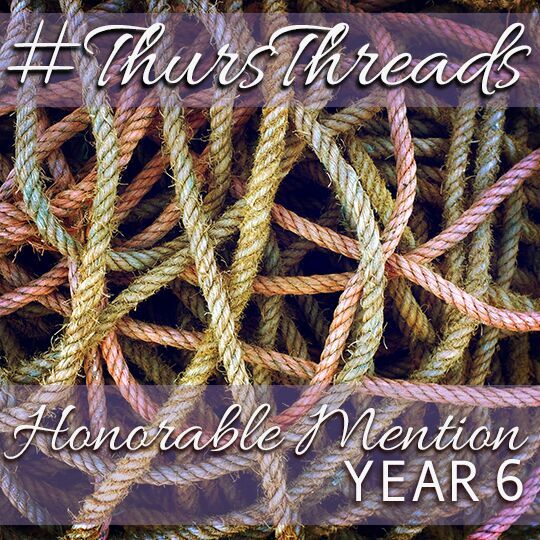 Thursday Threads is one of my favorite weekly challenges because it ties each week’s entries to the previous week’s winner–and I am suddenly embarrassed to realize I have not done an Other Web Wednesday entry for Siobhan Muir’s excellent site. That will have to be remedied. Again, I’m judging Thursday, July 26th.